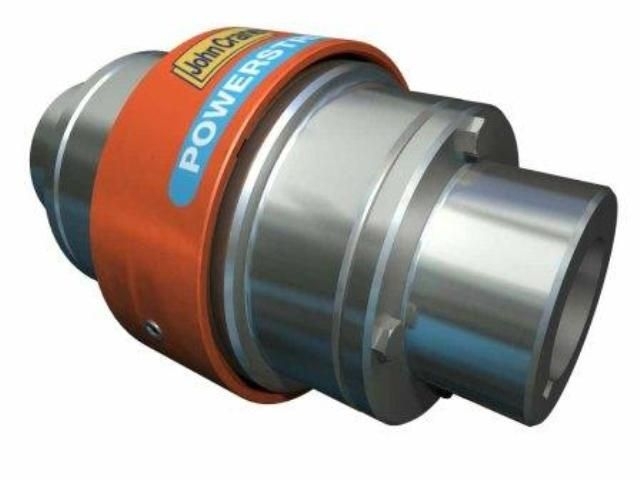 Powerstream® A Series couplings provide a solution to one of the most persistent and troublesome problems facing maintenance personnel: periodic coupling failure and the downtime and expenses that go with it. If a new insert is needed, a placement can be installed in minutes, without moving either the prime mover or the driven equipment. The A Series is the simplest construction of all our couplings. The arrangement consists of two close-coupled hubs which have six or eight teeth, depending on size. These components are made of quality carbon steel. The split insert, which is made of specially compounded urethane, fits over the hub teeth. The retaining ring is made of steel and is located with two setscrews. Use our Coupling Calculator Tool to select a coupling right for you! Urethane insert is resistant to most chemicals and oils. Can rotate hubs independently for motor test. Large bore and torque capacity. Hubs can be supplied either finish machined or with blank bores. Horizontal and vertical operations, in either direction. The coupling requires no nuts or bolts. Change-out of coupling insert is faster than any other coupling.